I wasn't sure what to expect from a teen romance book but was really pleasantly surprised. These 4 authors created a book that isn't mature or childish. They are perfect for ages 13+. The love isn't overly done they seem mostly innocent and sweet. 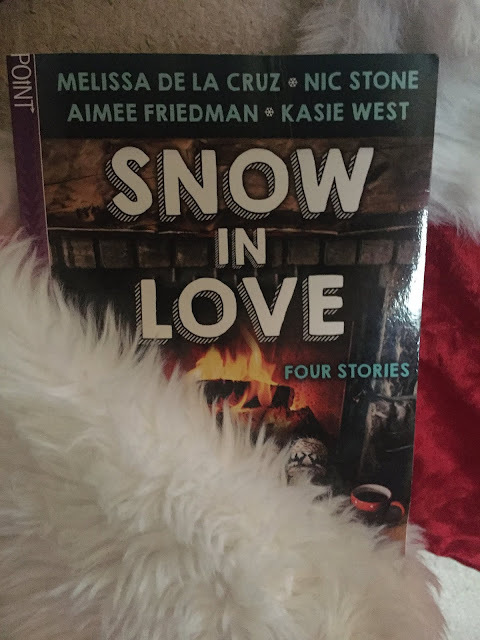 The last story was a gay romance story so maybe this book isn't for everyone but if your child is into romance this is a decent book. My favorite was the first story by Kasie West about a road trip where the girl never realizes that her high school crush was into her the whole time. Very innocent and sweet. Disclaimer: I received an ARC from Scholastic for my honest opinion. No monetary compensation was offered or received.